jhanH - please post some closeup shots of the finish when you’re done? The second time I ever tried a refin I misunderstood directions and used huge grit paper and then spraycan white, several coats, and now you can just see giant deep scratches under said white. Looks horrible haha. I’ve been genuinely impressed with some of the amateur refin work I’ve seen on here tho. I don’t remember who, but the guy who painted his JMJM Charcoal Frost and put the solar flare Spitfire on it immediately comes to mind. This is something I really would like to get into. I got a bunch of scrap wood over the summer to use for practice and it’s just in a big pile in the garage. 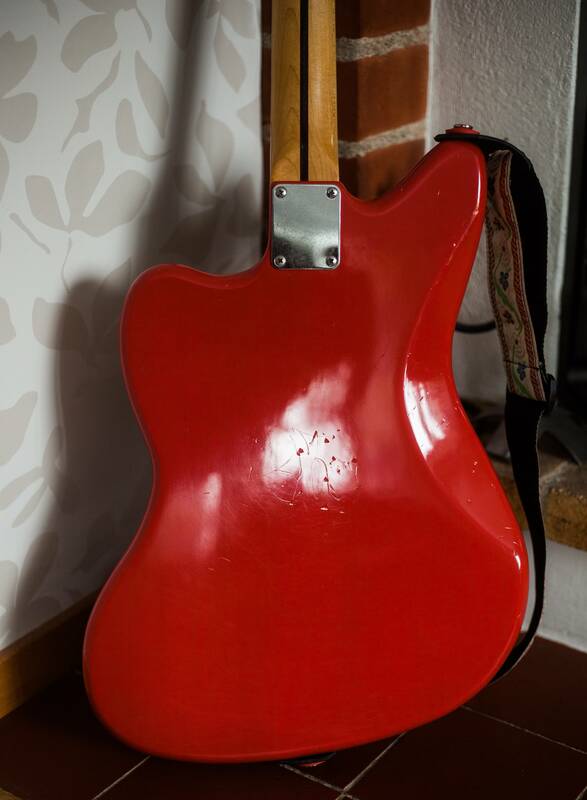 I'll post a few pictures one I have the guitar wetsanded and polished up. Right now I have other stuff to do but I can probably do that in a couple of weeks. Its not my first refinish, I've done a few before. 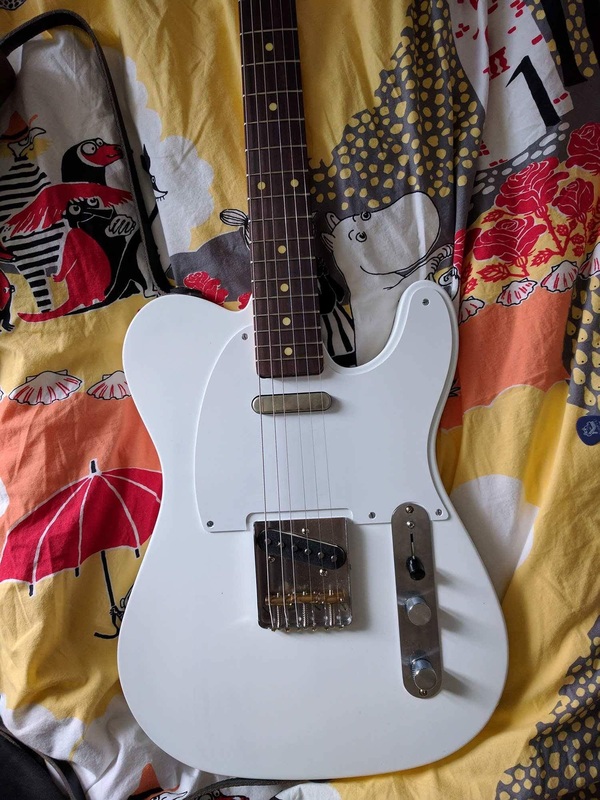 Here is a tele I put together as a Mike Bloomfield tribute. They look great. 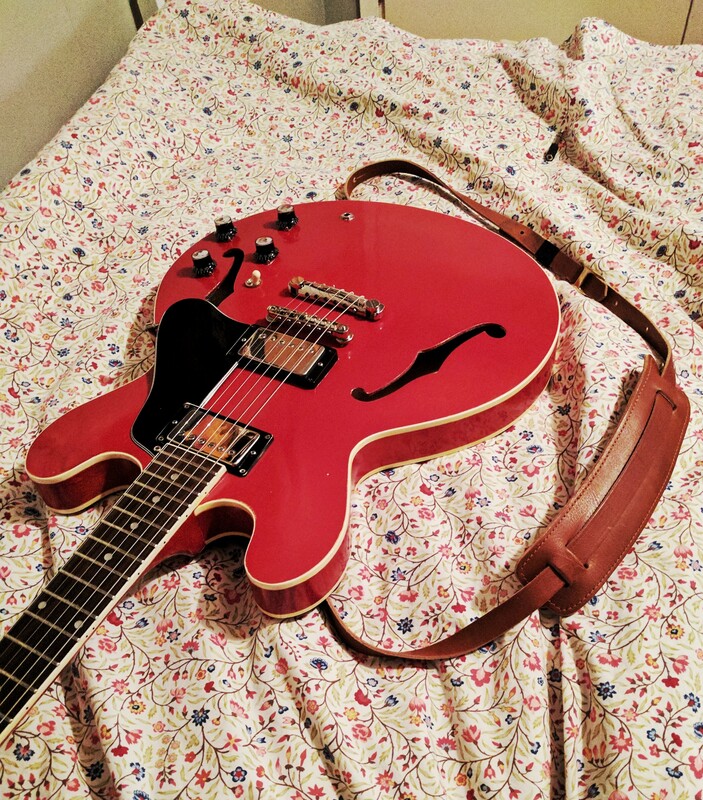 Great job on that ES335. It's always been my no.1! It's done! After some consideration I ordered and applied a fender logo. 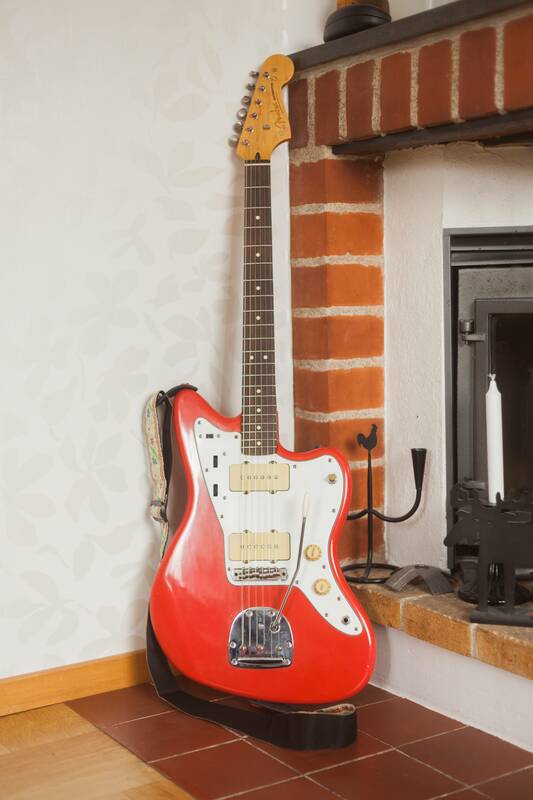 Its no fender, but it plays, sounds and looks great! That's a good color. 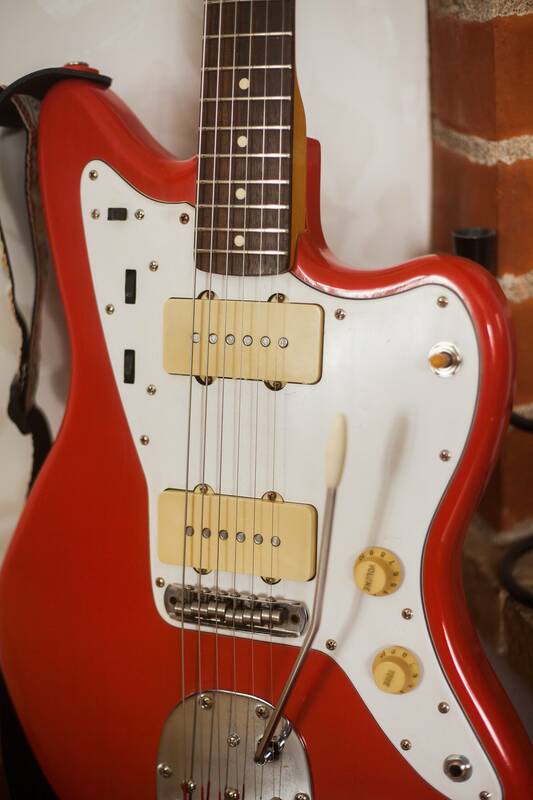 It looks good with the rosewood fretboard, too. Nice! 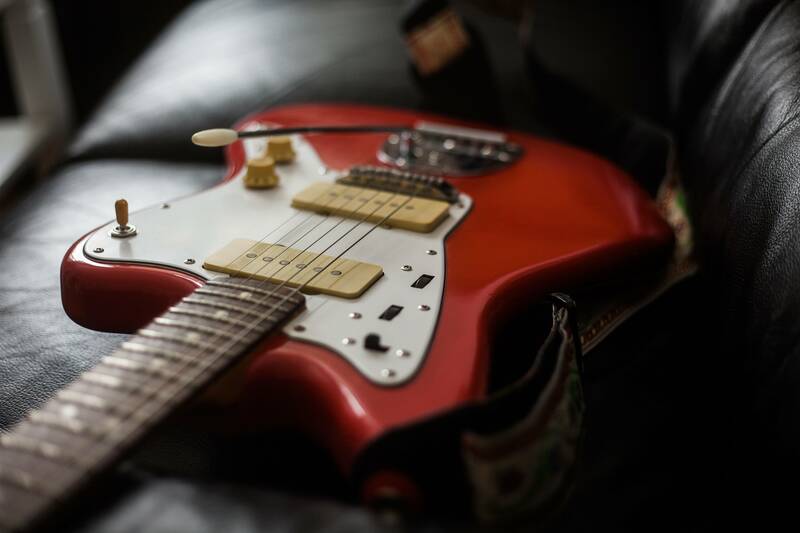 Guitar looks awesome. 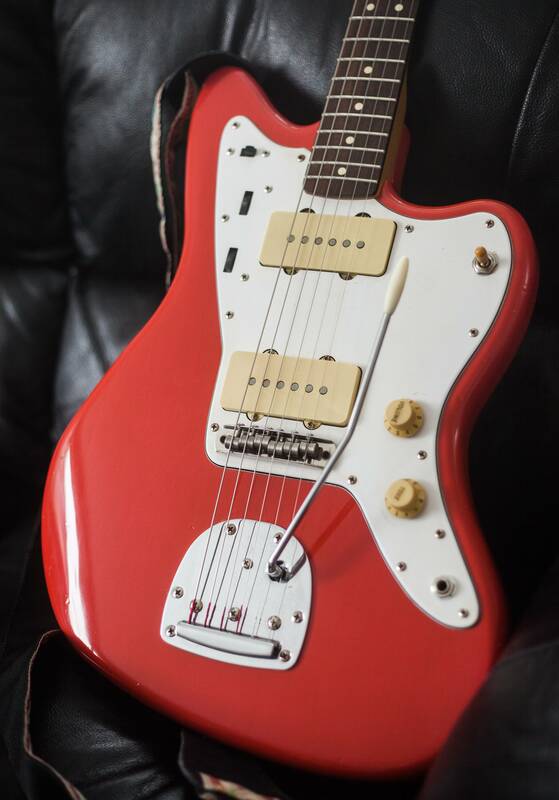 I'm in the middle of upgrading that same Squier Jazzmaster at the moment. I replaced the pickguard with an AVRI tort, the pickups with the AV65 ones, upgraded the wiring to a nice cloth harness, put on some witch hats, and installed a Mastery trem. I'm trying to decide what color to repaint it and if I want to paint over the poly or strip it like you did. I hate the neck on this thing. Trying to decide whether to continue on with it anyway or look for a Fender neck that might be better. I'm so concerned with ordering one of the pau ferro ones from Stratosphere or somewhere and having it show up with a really light color (which is objectionable as I'm def in the darker is better camp when it comes to fretboards). I love those necks from the American Original Jazzmasters with the binding but they're expensive enough on their own that I think if I went that far I might as well spring for a used American Original entirely and not bother with this project since they come in two of the colors I was thinking of using anyway - Ocean Turquoise and Olympic White. 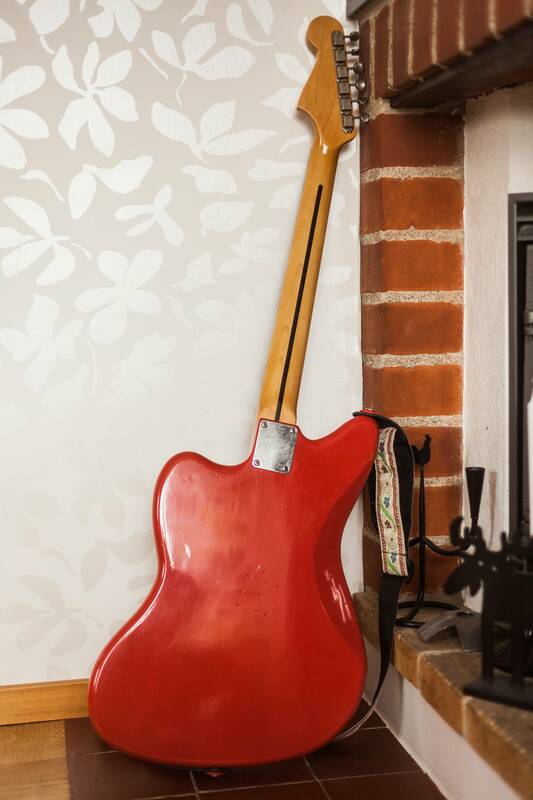 What did you do in the way of refinishing the neck? I took the poly off with a heat gun and put on 4-5 coats of amber nitro. 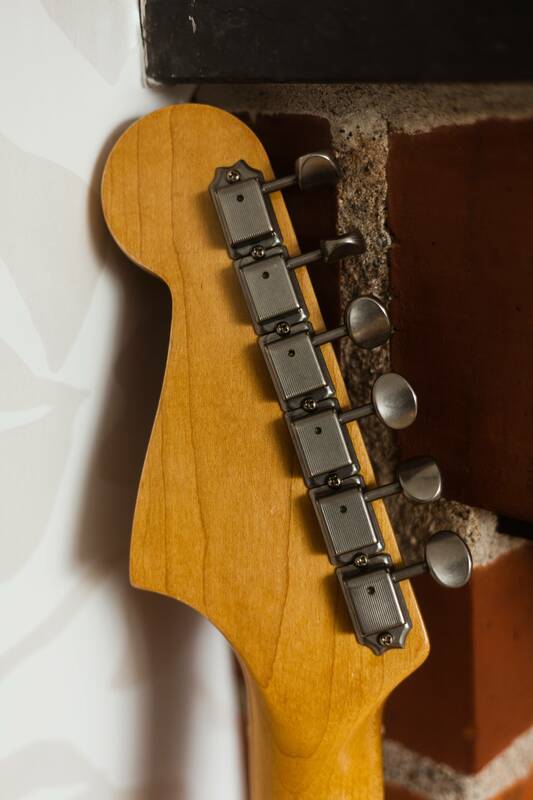 This neck has a really nice rosewood fretboard, though! Yes, I think its the lightning. When compared to a fiesta red strat it was kind of the same colour, the JM being a bit more yellow.